The U.S. wind energy industry is on track to install over 3,000 megawatts (MW) of wind power generating capacity nationwide in 2007, with Texas likely to account for about two thirds of the new installations, the American Wind Energy Association (AWEA) said on May 10th, 2007, in its first quarter market report. Over 100 MW have newly come online in the U.S. so far this year, and over 1,000 more are under construction in Texas alone, according to AWEA. One megawatt of wind power produces enough electricity on average to serve 250 to 300 homes. “The moment has come for the U.S. government to build on the example set by Texas and many other states, and enact a national RPS as part of any energy legislation it considers this year,” added Swisher. Fifty U.S. Senators recently called for a “strong” national RPS and it is likely that the U.S. Congress will consider RPS legislation this summer. A Renewables Portfolio Standard uses market mechanisms to ensure that a growing percentage of electricity is produced from renewable sources. Wind farms revitalize the economy of rural communities by providing steady income to farmers, ranchers, and other landowners. Each wind turbine contributes $3,000 to $5,000 per year or more in farm income, while 95%-98% of the farm’s land remains free for crops or grazing. As Governor of Texas, George Bush signed the state’s RPS into law in 1999. Texas is today the state with the largest amount of wind power in operation, providing income to rural communities, new business and jobs, as well as clean, renewable energy for its economy. A report by the Electric Reliability Council of Texas (ERCOT) suggests that the 2,000 MW of new wind power anticipated this year would avoid over 3 million tons of CO2, annually, at a rate of about 0.48 tons of CO2 per MWh of wind -- reducing the carbon footprint of every man, woman and child in Texas by more than 250 pounds per year. Twenty-two states now have an RPS, and, given the economic success of the policy and the urgency of addressing global warming, several have recently moved to strengthen their requirements. In the past few months alone, New Mexico and Colorado both increased their renewable energy requirement to 20% by 2020, and Minnesota adopted an RPS of 25% by 2025. The first hundred megawatts installed this year were completed in Oklahoma (60 MW), Maine (33 MW), Texas (10 MW), and Hawaii (21 MW). Cumulative wind power generating capacity in the U.S. now stands at 11,699 MW. This capacity will generate an estimated 31 billion kilowatt-hours this year, enough to serve the equivalent of nearly 3 million average households. For more information see AWEA’s project map at www.awea.org/projects. 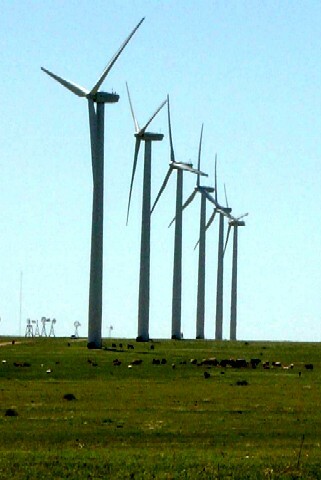 AWEA, formed in 1974, is the national trade association of the U.S. wind energy industry. The association's membership includes turbine manufacturers, wind project developers, utilities, academicians, and interested individuals. 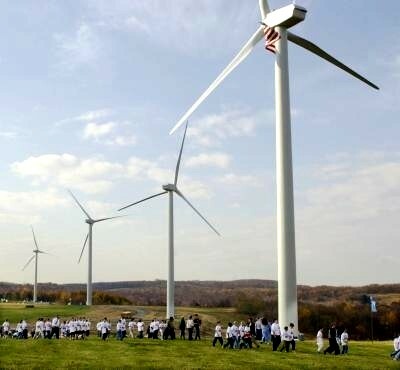 More information on wind energy is available at the AWEA web site: www.awea.org.